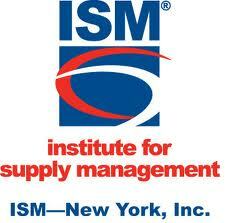 The ISM-New York Report on Business is released on the second business day of each month at 9:45 AM Eastern. Buyers Meeting Point has been following the ISM reports on business for two years, helping you apply information from the indexes (which is collected from procurement professionals) to your own work. The most important thing to keep in mind when reading this report is that no one number represents the findings of the report; each piece of data only has value when considered as part of a trend - relative to the month(s) or year before. Each month, ISM-New York tracks changes in prices, employment, demand, business impediments and current business conditions. There is also a question of the month, which allows survey respondents an opportunity to provide their position on a current business issue. The January report, published on February 4, 2013, also included updated seasonal factors as calculated by Jonathan Basile Credit Suisse Economist and Business Survey Chairman. We reached out to ISM-NY to get some more information on these seasonal factors as well as the January question of the month. To access our coverage as well as a PDF of the report, click here. We would like to thank James Martin, Director of ISM-New York and the ISM Global Group Chairman and Jonathan Basile, Credit Suisse Economist and Business Survey Chairman. BMP: Can you provide an explanation of the seasonal adjustment process in layman's terms? Jonathan Basile: In the simplest terms, seasonal adjustment is used by economists to understand “what’s really going on.” Economic data can follow regular seasonal patterns at certain times of year. Examples of this are seasonal hiring by retailers for the holiday shopping season and then seasonal firing after the shopping season is over. Seasonal adjustment smoothes this out, allowing economists to make comparisons about the underlying trend from one month to the next. BMP: In the response to the January Question of the Month, an increasing number of people said that their expenses were above budget and in increasing number of people said that they did not know. Do either of these changes indicate anything to you about the organizations and individuals participating in the monthly survey? James Martin: With this question we are trying to gauge how well internal budgets are being managed and what to expect from people trying to stay in budget. As more respondents gave an indication that their expenses would be above budget, we would expect to see lower spend for the remainder of the budget year, which in effect slows spending. We are also trying to gauge what impact, if any, Hurricane Sandy had on additional spend not budgeted for but impacting overall spend. To learn more about ISM-NY, including their Report on Business, visit their website, join their group on LinkedIn, or follow them on Twitter. The September ISM-New York Report on Business: Help Wanted!